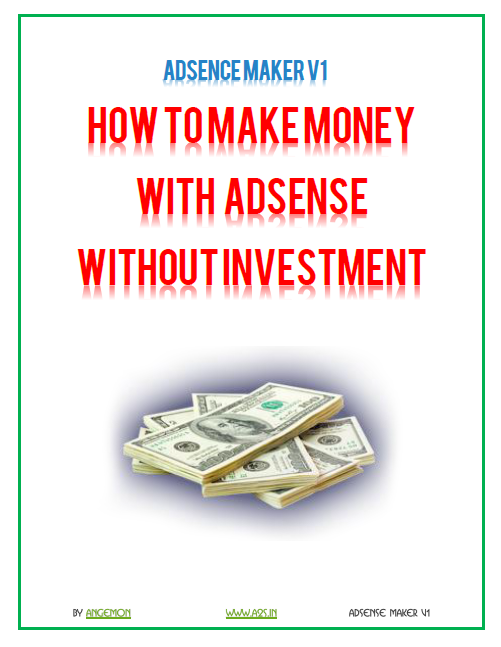 i've started writing the "Adsense Makers" series today , this ebook series will contain all my secret ways that i've developed and used to earn using Adsense. This is the version 1, it will really help you , i will share the other verions later. I hope you enjoy the ebook. This method can really work out, but you have to put in work on making your website. A lot of people get stuck on there and get off target. This eBook part is pretty simple, but useful. Every website owner can use it, even if they are earning money now, they will earn extra with a help of this eBook. There is nothing hard in this part, and I have seen some people doing it. This can't get saturated, since the audience is so big. I really enjoyed reading this, and I can see that the eBooks are getting better and better now. By following this method, you could just make a website, add some nice unique articles. Then you will be seen in Google and get even more visitors. I really liked this one, and I could try this out and finally succeed this time. You can expand this method a lot. I may actually write a continued half part for this one with some tips that you can do. Last edited by Angemon; 05-14-2018 at 10:43 PM. About making a website, I think @[Only registered and activated users can see links. ] has posted about it before but not here (I have read that, including making disclaimer page and so on), right, ange? Last edited by Raiden; 07-18-2014 at 11:12 PM. What is the password though?